This is a rectangular Lehigh Valley Anthracite porcelain sign. This particular Lehigh Valley Anthracite sign is orange and black. 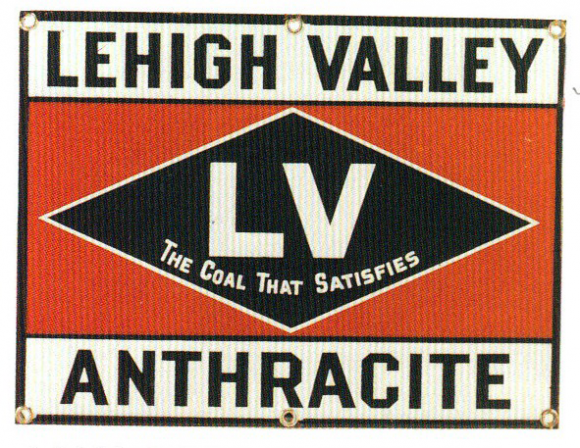 It reads, “Lehigh Valley Anthracite, LV, The Coal That Satisfies” and features a black diamond against an orange background.